MDF6 is a 6mm thick moisture resistant MDF panel with tongue and groove joints designed to be fitted between Linoroll acoustic underlay and carpet or ceramic tiles, vinyl or lino floor coverings so as not to present too soft a walking surface. As this is a new product, we welcome customer feedback that could be published here. MDF6 is a water and fire resistant floor panel that has been developed to present a stable surface on top of resilient acoustic underlays to enable floor coverings such as tiles and vinyl to be laid without creating too soft a surface. It is supplied in easy to handle and fit panels and should be fitted with the joints glued. 1. Floor must be swept and clean. 3. Installation of the MDF6 panels is from one side of the floor with staggered joints until the end of the row, then start the second row with the off-cut from the previous row and continue until the entire floor has been covered. Working towards the exit. Ensure each panel is glued down with our Sta-Stuk aerosol contact adhesive and joints glued with a normal wood glue such as PVA. 4. To commence, cut the groove off from the long and short edges of the first corner panel with a saw. 5. Fit with a 10mm expansion gap between the panels and walls or existing skirting boards then seal the gap with our flexible Acoustic Sealant. 6. Continue until the floor is completely covered. 7. Any unavoidable gaps should be filled and sealed with Acoustic Sealant. 8. Allow a suitable length of time for the glue to set in the tongue and groove joints before walking on to ensure the glue has fully cured. Once the floor is ready, the floor covering can be fitted on top. When ceramic tiles are being fitted, they should be fixed with a flexible adhesive/grout to avoid cracking. When skirting boards are to be fitted, ensure the bottom edge is just clear of the new floor to avoid flanking noise issues. 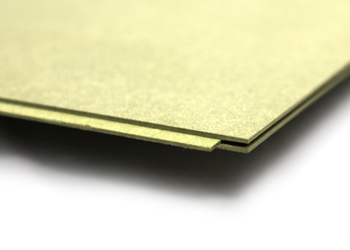 Due to the limited thickness of the MDF panels, damage may sometimes occur to the tongue joints. Should this happen, either fit the panel nearest to a wall with the joint cut off or is the damage is small, cut off the damaged section and use as normal.